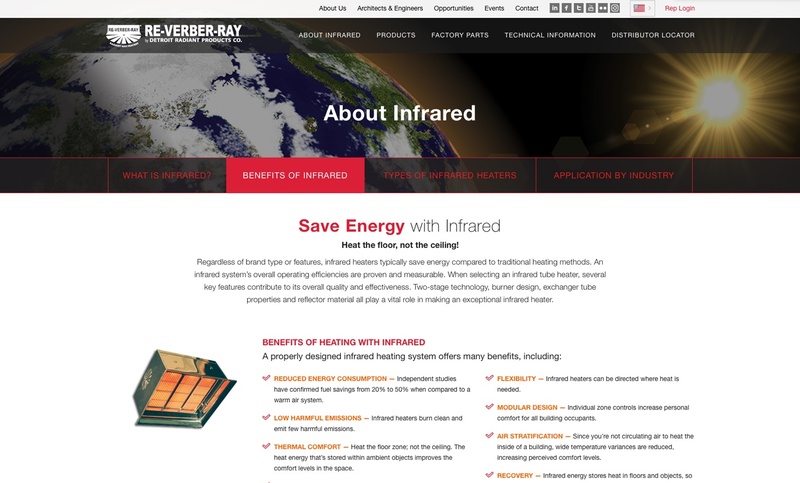 Re-Verber-Ray (a Detroit Radiant Company) manufactures and distributes some of the world’s best infrared heaters for use in commercial, industrial, agricultural, amongst others. Detroit Radiant’s goal was to refresh their web presence with a responsive, clean design and to identify and reorganize their content and use impactful, hi-resolution images, in order to support Search Engine Optimization. By working closely with the Radiant Team we were able to execute a design that was sleek and easy to digest. The object was to provide the user with clear avenues to navigate the site by using a mobile first approach. Scrolling the homepage, the user is presented with an overall brand message, followed by featured products and finally Applications by Industry. Overall, the object was to give the visitor a complete picture of Re-Verber-Ray as a company, by educating the consumer on their products and offering detailed technical information for Architects & Engineers. Included is the ability to toggle between different market segments which brings the user to unique information depending on market selected, including separate Distributor Locators based on location and industry. 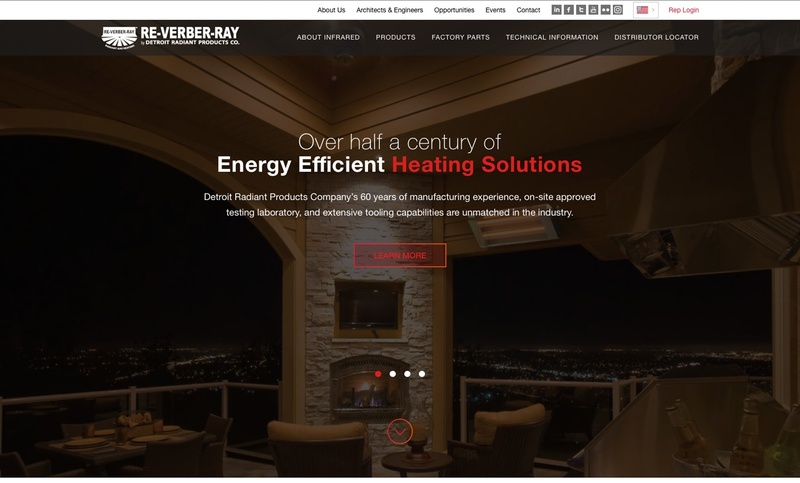 Re-Verber-Ray (a Detroit Radiant Products Company) has for more than a half-century has been setting the standard for high-quality, cost-effective, energy-efficient infrared heaters. 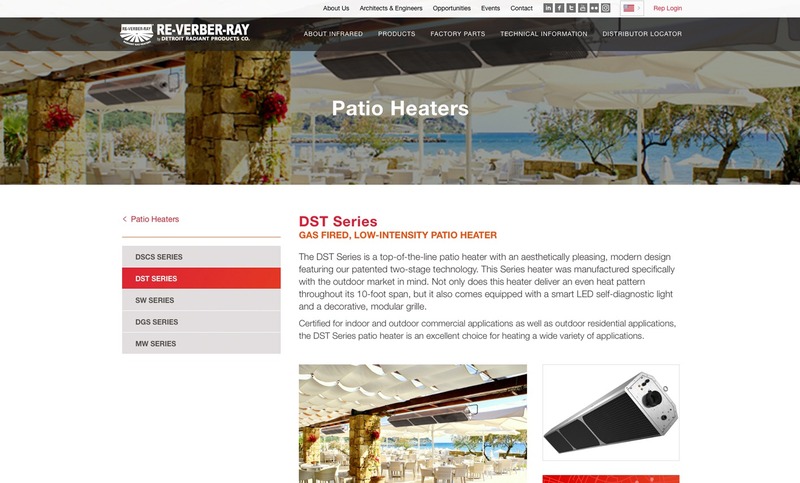 Re-Verber-Ray brand products are recognized as the solution for most commercial, industrial, and specialty applications.